A Republican legislative leader says he's uneasy with the bill because it's an ‘all-or-nothing’ measure. If it doesn't pass, the marijuana ballot question that voters approved will become law. Despite months of work by lawmakers on a special committee, a bill that would set in motion the legal sale of recreational marijuana in Maine faces an uncertain future, with a top State House leader who could hold the key to the bill’s final passage expressing serious concerns about the legislation Friday. It’s also unclear what action Gov. Paul LePage will take. His office would not comment on whether he will veto the bill, but LePage has repeatedly said he wished U.S. Attorney General Jeff Sessions would crack down on states that have ignored federal law and voted to legalize recreational marijuana use. House Minority Leader Ken Fredette, R-Newport, said he’s likely to oppose the adult-use marijuana bill, which received a 13-2 endorsement Thursday from a special select committee of the Legislature after nine months of work. Fredette said the bill lacks flexibility and bundles too many issues into a single law. Fredette, who leads a conservative House Republican caucus, has been a key player in the Legislature and a staunch LePage ally. If LePage vetoes the bill, the votes in Fredette’s caucus likely would be the difference between whether the veto is sustained or overridden. A two-thirds majority of lawmakers is needed to both pass the measure as an emergency bill that would go into effect before January, and to overcome a LePage veto. If the bill developed by the special committee doesn’t pass, then the marijuana ballot question voters approved last November will become law. Advocates for regulation, who supported the bill, say Maine will then be opening itself up for an unfettered black market of marijuana sales that will be unregulated but not necessarily fully illegal. “It will be the wild, wild West,” said state Senate President Michael Thibodeau, R-Winterport. Thibodeau said he hoped the Legislature would respect the work of the committee and support the bill. The bill sets up licensing and product safety testing requirements, labeling and packaging rules and other standards designed to create an orderly and regulated market that would also allow the state to collect tax revenue from marijuana sales. While the state’s current $7.1 billion two-year budget is not dependent on marijuana revenue, there is little doubt the Legislature, which struggles every two years to create a balanced budget, would welcome the tax revenue generated by marijuana sales, which could reach $220 million by 2020, according to one estimate. LePage announced Friday that he was calling lawmakers back to Augusta for a special legislative session on Oct. 23. The governor said the reason for that special session was to deal with two issues unrelated to marijuana, but leaders in both the House and the Senate indicated they also intend to move the marijuana bill to their respective floors for debate and possible revision. A spokesman for LePage would not say whether the governor will veto the bill. 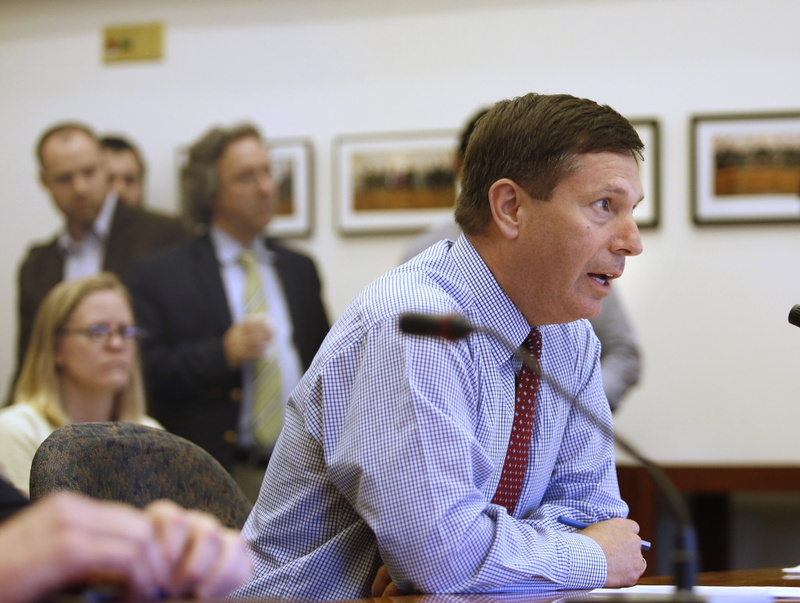 “When a bill hits his desk, the governor will have 10 days to sign it, veto it or let it go into law without his signature,” Peter Steele, LePage’s communications director, said in an email. Fredette holds significant sway with his caucus, but not all House Republicans are going to follow his marching orders and some will support the committee’s bill. The Legislature could conceivably pass a bill that would force LePage’s hand on rulemaking, but if he then vetoed that bill, it’s unlikely that two-thirds of the Legislature would vote to override him. Republican Rep. Lance Harvell of Farmington, who voted for the marijuana bill Thursday as a committee member, said he would remind his colleagues of the parts of the law passed at the ballot box in November that are most concerning . “If you don’t pass this it’s not as if you are repealing marijuana legalization,” he said. “Whether you like it or not, if you don’t vote for this, you are in effect voting for internet sales, drive-through sales, the age problem that’s in the law,” among other things. The age problem is a reference to language that allows people under 21 to purchase marijuana. While an outright repeal of the law passed at the ballot box is possible, it’s not clear whether lawmakers are prepared to reverse the will of the voters for a second time in a single year. During the legislative session, they overturned a voter-approved measure that added a 3-percent surcharge to high-income households to help fund education. Harvell said even Republicans like Fredette could face bruising criticism for eschewing the will of the voters again. 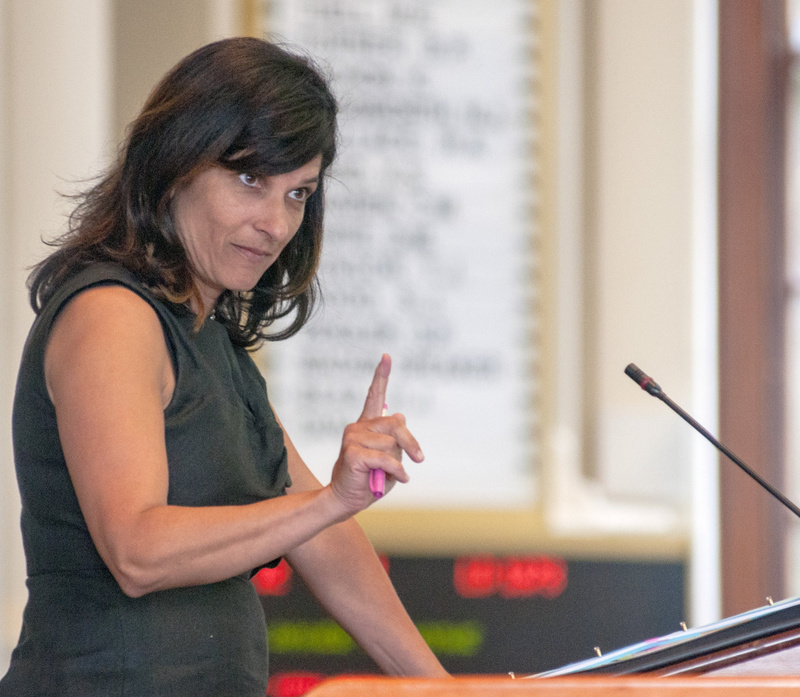 House Speaker Sara Gideon, D-Freeport, said lawmakers should respect and support the work of the committee, which sought to erase some of the largest pitfalls in the ballot-box law. Assistant House Minority Leader Ellie Espling, R-New Gloucester, said she believed her caucus would be divided on the committee bill, but noted that it was designed to balance a variety of competing industry interests. In November 2016, voters passed the ballot measure by a razor-thin margin (50.2 percent in favor and 49.8 percent opposed), with a recount showing the margin of victory was only 4,400 votes. Delayed implementation of the law also would delay economic benefits to many business sectors, from construction and real estate to lawyers and other professionals who are preparing to usher an entirely new industry into Maine. Hannah King, an attorney who sits on the advisory board for Maine Professionals for Regulating Marijuana, a coalition of professionals that supports vigorous regulation of marijuana, said in a statement she’s hopeful the Legislature will enact the committee’s bill, which she characterized as a “significant improvement” to the law passed by voters. “Delaying rule-making and the roll-out of a legal commercial market, including legal points of sale for consumers to purchase adult use marijuana, is not only contrary to the will of the majority of voters, it creates a space for the illicit marijuana market to thrive,” King said.